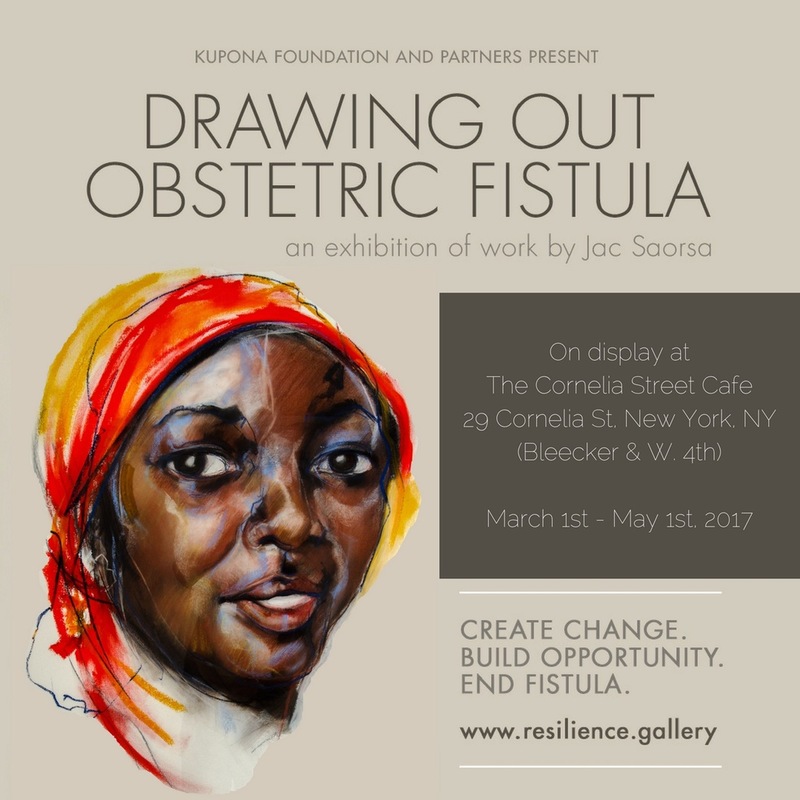 Kupona Foundation and partners present an exhibition of drawings from the Drawing Out Obstetric Fistula collection by artist Jac Saorsa. Obstetric fistula is a debilitating childbirth related injury. Caused by prolonged obstructed labor without access to timely, high quality medical care, the injury causes chronic incontinence. In 90% of cases, the baby does not survive the traumatic delivery. Fistula is both treatable and preventable. Using art as a vehicle for advocacy, this exhibition seeks to raise the profile of obstetric fistula as a critical global development challenge, and mobilize support for the programs and partnerships working to eradicate this silent tragedy. Jac Saorsa’s website can be visited at http://drawingof.wordpress.com.